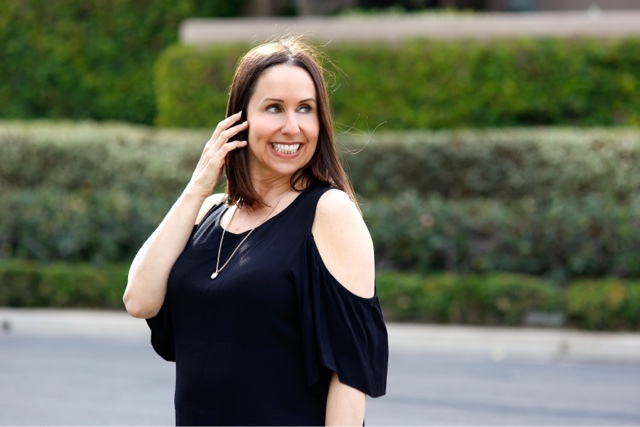 How cute is the little black dress from one of my favorite boutiques Modern Romance? I love the sleeves and it is so comfortable. These flowy styles are my favorite especially in these summer months. And every girl needs a selection of little black dresses to choose from right? And can we talk about these shoes!!!! I got them with Cathy during a spring break shopping day at the Desert Hills Premium Outlets in Cabazon at Balenciaga. They were a total steal and I cannot believe how great they feel!!! They are so cool and unique. I'm absolutely obsessed!!! What are your favorite pieces that you got for a steal? I would love to hear about them in my comments section!!! Thanks to Gabi Wells for photos and Happy reading!!!! Such a wonderful dress that is. very good color and style. You are so sweet!!!! Thanks so much!! !